What connects King Arthur & David Bowie? A new BBC Culture feature, In the Frame, takes a photo from the news each week and likens it to a painting. This week, Open University professor and art history expert Gill Perry looks at mourning in art – as in life and compares the 2013 mural of David Bowie as his alter ego ‘Aladdin Sane’ in Brixton by James Cochran with ‘The Last Sleep of Arthur in Avalon (1881 – 1898) by Edward Burne-Jones. 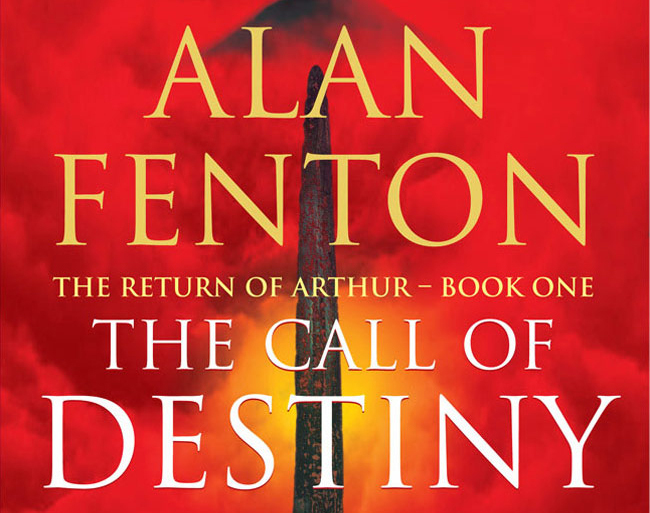 Alan Fenton is the author of two Arthurian novels, The Call of Destiny and The Hour of Camelot. The stories and legends of Arthur, and likewise the songs and music of David Bowie, will continue to stand the test of time.